Bubble counters play an important role when you’re running a CO2 infused planted aquarium and for good reason too. It’s a great way of knowing how much CO2 you are pumping into your aquarium.Of course we still suggested drop checkers with bromo blue are the ultimate solution for understanding CO2 levels, but bubble counters still play an important role. But like so many things these days you have lots of choice so which is the best? The answer really depends on what you are running – are you pressurised or are you using yeast to produce your CO2? If you’re using the latter then you can probably stick with the bubble counter that came with your CO2 set but if you’re running pressurised then consider the Easy Aqua Bubble Counter & Check Valve. Pressurised systems which operate with 2 bar pressure place a lot of strain on equipment which is manufactured to lower quality levels. Non return valves for example will easily pop off their CO2 tubing or just not functions as they should and can leak (normally when you’re not at home…). At the opposite end of the spectrum with quality equipment you know it will do the job which it should. The Easy Aqua Bubble Counter & Check Valve falls into the category of quality. It allows CO2 tubing to be attached securely to the bubble counter and the screw ends make sure that there is no way that the tubing will pop off. So it offers piece of mind more than anything else. In addition, because the non return valve is immediately below the bubble counter there is less water lost over time. It’s common for water to migrate south with bubble counters but this isn’t possible with the Easy Aqua Bubble Counter & Check Valve. How to fill it up? Filling this unit is simple and we recommend using normal tap water. All you need to do is undo the top piece and hold it under your tap until the clear section fills up (fill it all the way up). Once you’re done, keep it upright then attach your CO2 tubing onto the unit, then onto your CO2 diffuser. The final benefit of the Easy Aqua Bubble Counter & Check Valve is that you can attach CO2 tubing onto it without the risk of damage. Glass units can break easily especially under pressure but you won’t have this concern here. For the above reasons we have great confidence in recommending the Easy Aqua Bubble Counter & Check Valve and it can be used in any pressurised CO2 system without any problems. If you find this blog post, why not post a link on Twitter or your Facebook page? Diffusers are always changing in shape or form and up until recently there were only one or two options for moving gas from bottle to tank. Well now there’s a 3rd and it comes in the form of an UP Inline CO2 Diffuser. Designed to work with external filters only, you attach them inline so that they sit on the outflow pipe. This is a very simple and easy way to attach a diffuser – yes you have to turn your filter off and maybe drain some liquid etc etc but once it’s up and running it means that it’s another item which can be kept out of the tank. The Co2 tube coming from your regulator also attaches to the diffuser on the top left hand side (see image). The more equipment that stays out of the tank, the more you can concentrate on what your aquascape actally looks like. We stock 3 sizes of inline diffusers for 9, 12 and 16mm pipe work and you can see them here. 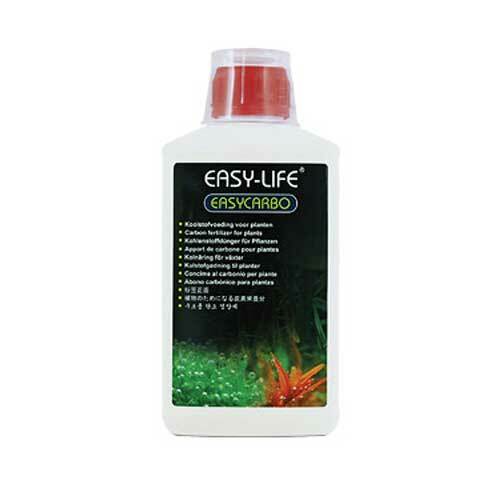 Have you ever wanted better CO2 diffusion into your planted aquarium but never really got the results from glass diffusers? Well now is the time to change to our new Easy Aqua Super Mist Diffuser. They are quite incredible and we have never seen so many small CO2 bubbles from such a small area. It’s done by creating a surface that is so compact that pressurised CO2 literally has to be forced out through the tiny pores on it. This makes your gas a lot more economical when using a Super Mist Diffuser compared to a glass diffuser. You see the smaller the bubble, the larger the surface area (relatively). Therefore if you are creating thousands of tiny bubbles compared to hundreds of larger one’s, the smaller type win hands down. This diffuser is only suitable for use with pressurised CO2 and you also need to have about 2 bar pressure. Anything less than that and it won’t cut the mustard.